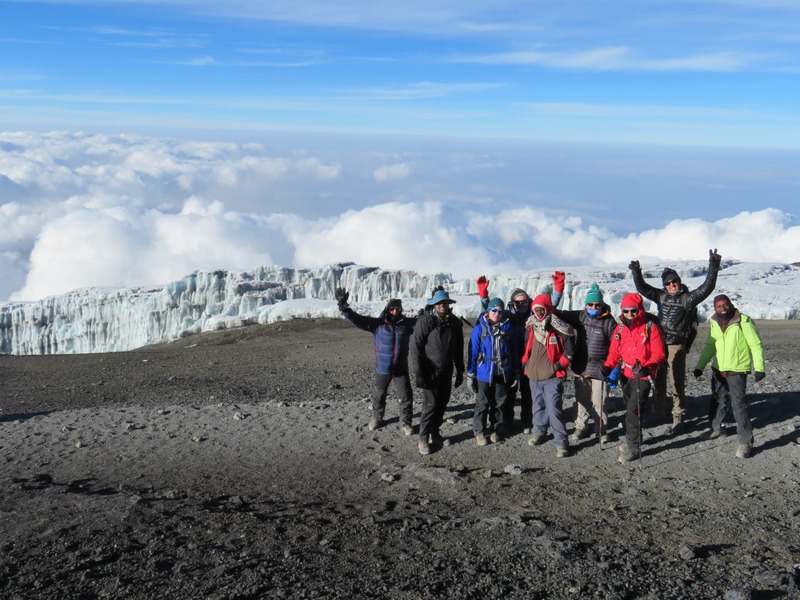 Top Tips for Climbing Kilimanjaro with Ian Taylor Trekking. You might have read our: All you need to know about climbing Kilimanjaro blog. If not check it out. This blog post will be an in-depth review the most important things to consider if you want to be successful climbing Kilimanjaro. 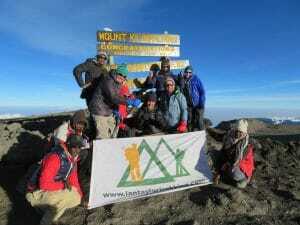 I have climbed Kilimanjaro 30+ times and available to assist you as you prepare for your climb. CALL US NOW. Kilimanjaro is appealing for a wide range of reasons. Kilimanjaro is one of the 7 summits, highest mountain on each of the 7 continents. Kilimanjaro is Africa’s highest peak, Kilimanjaro is the highest freestanding mountain in the world. Kilimanjaro is one of the wonders of the world, to stand on top of that wonder is an achievement like no other. Check out our trips in 2019 or 2020. The sheer, size, beauty, climatic zones, rain forest, lunar landscape, the geology the people, Africa. They all draw us to experience this challenging climb into a world where nothing lives, survives and glaciers stand tall on the equator. All though they are shrinking faster than I ever imagined over the last decade. That is a whole other story and post for someone who fully understands climate change and the human impact on our climate. I do know the melting ice is going to have a massive impact on how we climb the mountain by the year 2040. We will have to see water harvesting systems put in place sooner rather than later across the mountain. It is time the Kilimanjaro national park and the Tanzanian government used the millions of dollars raised every year from park fees to managing the mountain correctly into the future. Read our Top 10 Tips for climbing Kilimanjaro. Back to our top tips for climbing Kilimanjaro. My number one tip for climbing Kilimanjaro has to be safety and acclimatization. They are interlinked. The longer you spend on the mountain, of course the more expensive it will be. Kilimanjaro national park fees are outrageously expensive for the services you receive on the mountain. The key to your safety, experience on the mountain and ultimately your success is tied to how you acclimatize on the mountain and giving yourself enough time to recover form headaches, nausea, vomiting and other related altitude issues can be managed having more time available to adapt better to the lack of oxygen. Check out our TOP 50 TIPS for climbing Kilimanjaro. I have seen many people with headaches, vomiting, nausea, upset stomachs, fatigue and dizziness recover from these issues and successfully get to the summit of Kilimanjaro. This was possible, only because we have more time spent acclimatizing on the mountain. Pick a minimum of 8 days on the mountain and give yourself a safer ascent of Kilimanjaro. More days is more expensive but you will give yourself a better and more enjoyment time on Kilimanjaro. We have 3 nights sleeping below 4,000m/13,000ft helps. Then an additional 2 more nights sleeping around 4,000m helping even further the process of acclimatization. This gives you more red blood cells to carry oxygen to your muscles and body and gives you the best chance at success. Pick 8 days on the mountain, pick the Lemosho route and pick Ian Taylor Trekking as your guide for this adventure of a lifetime. Your physical preparation, strength, endurance and ability to hike 4 to 8 hours per day on a multi-day basis is critical to your success. More and more people are under estimating the challenge of climbing Kilimanjaro. Don’t be a fool. Get a training plan in place months in advance and build your training slowly and steadily. You also need to doing specific training for trip. You will be carrying a back pack with 6kg/ 12lbs or more on your back each day. You need to train with a back pack with weight building up to carrying double what you will carry on the mountain. Think about the descent down Kilimanjaro after you have reached the summit. 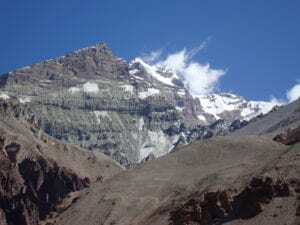 You will have to descent from 5,895m/19,341 feet back to 4,650m/15,255 feet and then continue further down the mountain to 3,100m/10,170 feet that is a 2,795m/9,171 feet descent in one day. Really think about that, if you think that is easy you are wrong. You need specific physical conditioning to be able to safely manage this 14 hour ascent and descent of Kilimanjaro. You will have journeyed for 6 days to get in position to reach the summit, you hope that is enough acclimatization. Then at midnight on the 6th day after some rest you have to hike up 1,295m/4,248 feet to the summit of Kilimanjaro. 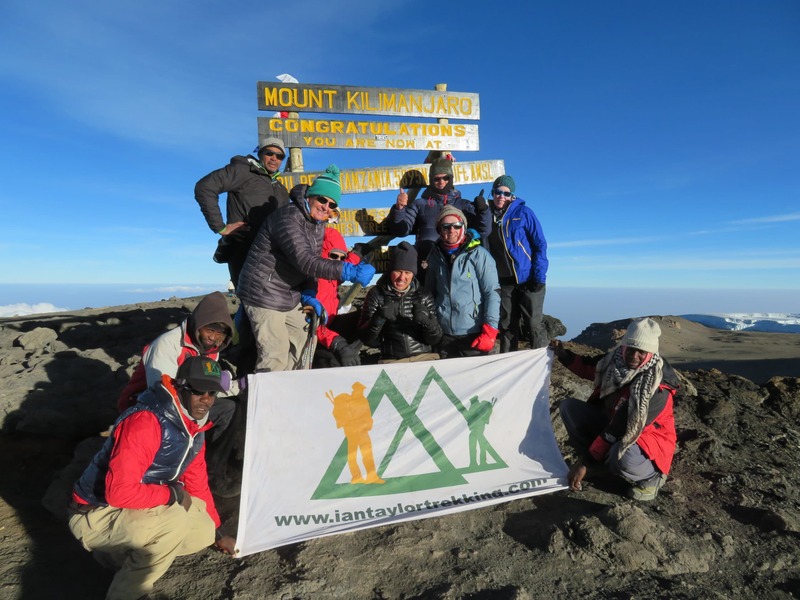 For most of our Ian Taylor Trekking teams it takes 6 hours to reach the crater rim and then an additional 45 minutes to 1 hour to reach the true summit of Kilimanjaro. Make sure you are protected against Malaria and have the right vaccinations for your upcoming Kilimanjaro climb. We are happy to discuss getting vaccinations, training, gear, clothing and all the information you need for climbing Kilimanjaro. 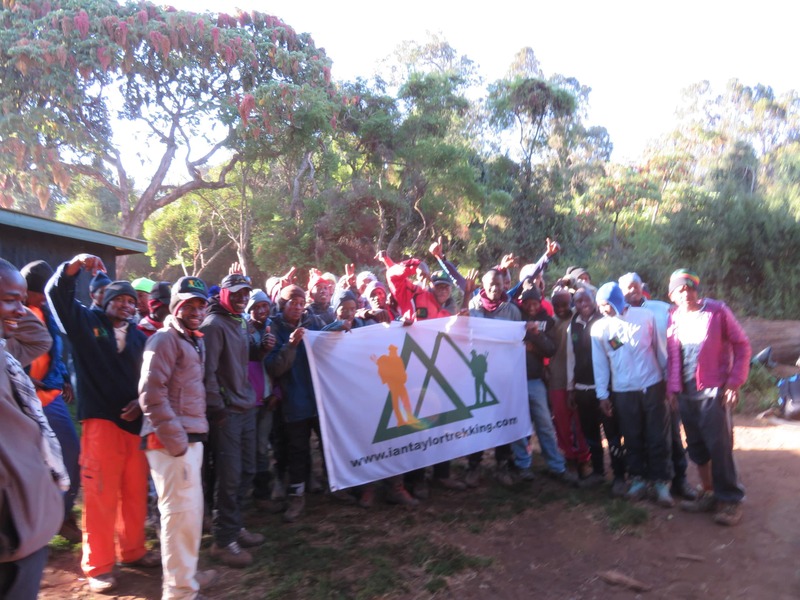 Here are 20 REASONS TO PICK US for your Kilimanjaro climbing adventure.